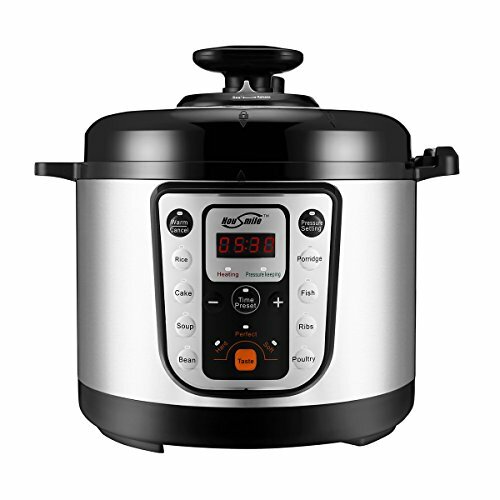 This Multi-Use Electric Pressure Cooker design derives from one of the top E-commerce retailers, Housmile, who has been in the research and development of stylish and useful household items for over 2 decades. Housmile, as always, would like to share the inspiring ideas of health, safety & conveniences with customers. We deal in a wide range of household items that will bring you a convenient life style. This Housmile Multi-Use Electric Pressure Cooker is one of the latest and most typical models of our Multi-Use Electric Pressure Cooker series that will make your day effortless and productive.